Hong Kong typically gets no less than 2,400 millimetres of rainfall per year , one of the highest among cities in the Pacific Rim, but why the city now rarely sees any flooding? 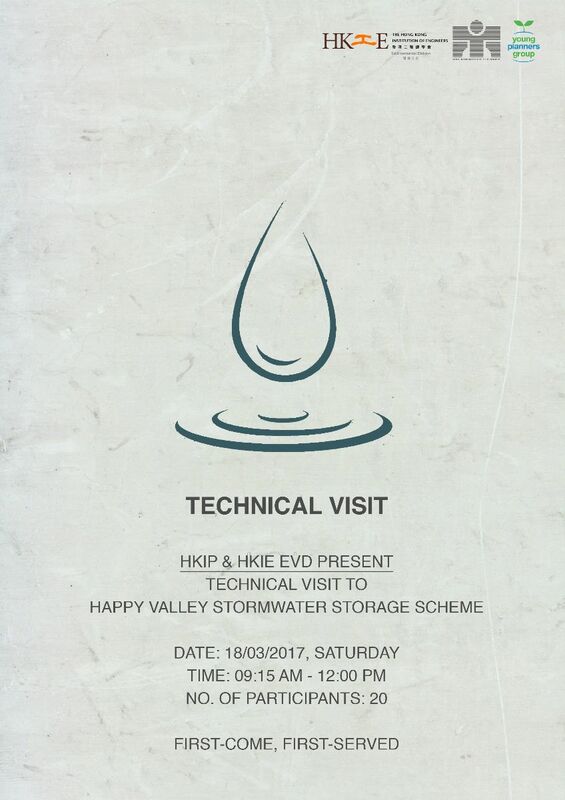 To unmask the secret behind such achievements, the Hong Kong Institute of Planners (HKIP) and the Environmental Division of Hong Kong Institution of Engineers (HKIE EVD) jointly present the technical visit to the Happy Valley Underground Stormwater Storage Scheme, that is considered as the city’s world-class infrastructure. The technical visit incorporates a presentation, which introduces the planning and daily operation of the scheme, follows by a guided tour to the underground storage tank. Enrolments are accepted on a first-come-first-served basis. For registration, please register at the below link by 28thFebruary 2016 (Tuesday). For further enquiries, please feel free to contact Ms Monique Tai at 2915 6212, or email to ypg.hkip@gmail.com.